UofL swimmer Mallory Comerford tied for an NCAA Title in the 200 freestyle, tying with Olympic gold medalist Katie Ledecky and just head of Simone Manuel, another Olympic gold medalist, with a time of 1:40.36 the Indiana University Natatorium on the campus of IUPUI tonight. The sophomore from Kalamazoo, Mich., ran down Ledecky making up a half second deficit in the first 100. 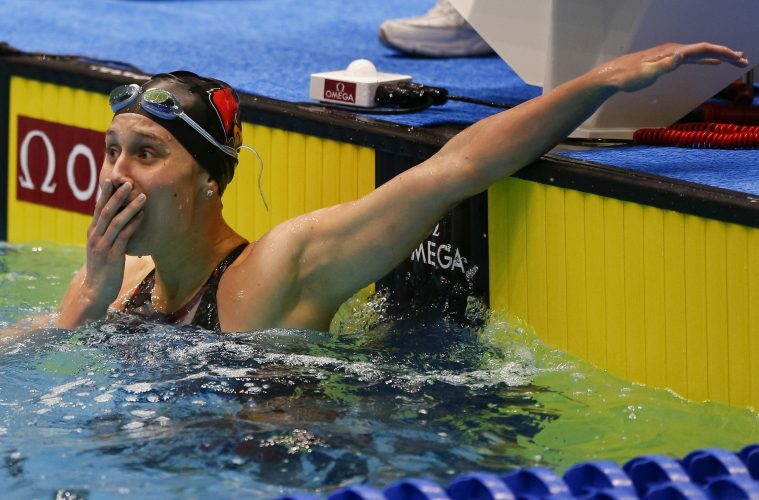 Comerford had a blazing back half split to tie Ledecky for the NCAA crown, clocking a 1:40.36. With the tie, the two reset the Pool Record of 1:41.41 set by Stanford’s Simone Manuel on the 800 free relay leadoff leg on Wednesdaynight. Manuel had the early lead in tonight’s final, but was out-touched for third with 1:40.70.